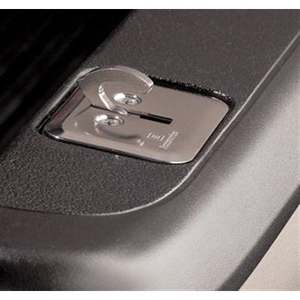 Enhance the cargo capability of your Silverado with these Bed Tie-Down Hooks, flush-mounted into the stake pockets. They recede out of sight when not in use. Retractable Hook, Package of 4, Stainless - For Use with Fleetside Pickup Box (E63) and Chassis - Single Rear Wheel (SRW). Not For Use on Dually Models.